There are many foods that I took for granted when I lived in New York City. One of which are garlic knots, which we usually got for a dollar whenever we ordered pizza (which is another food I miss dearly, San Francisco doesn’t get it right.) 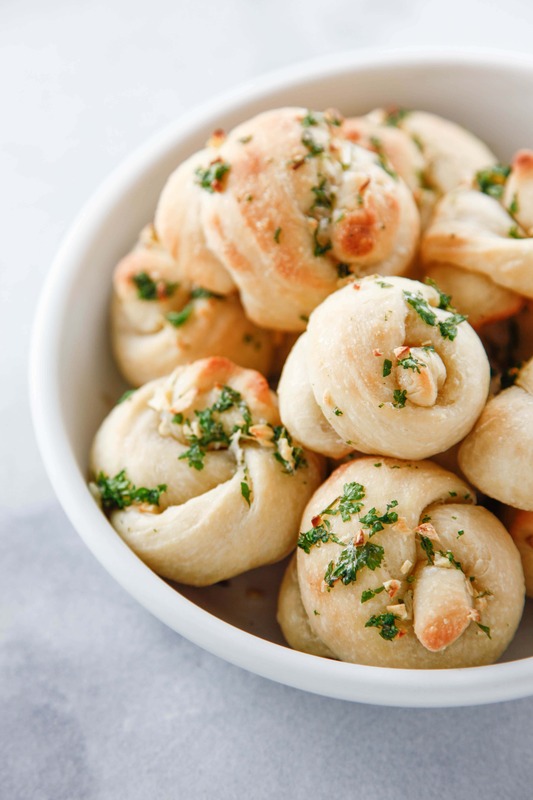 The garlic knots would come wrapped in tin foil, smothered in garlic butter, with fresh marinara sauce for dipping on the side. Depending on the pizza joint, sometimes the garlic knots were the true star of the menu. I made these with fresh pizza dough that I bought at Trader Joes for about a dollar for the bag. Fair warning, it will be sticky and a bit messy, but it’s a great recipe for kids to make. The dough is rolled out, cut into strips, then tied into a knot to bake. The hardest part is making sure you use enough flour to keep the dough from sticking to you when tying the knot. The trick to make a delicious seasoning is using salted butter, a bit of garlic powder and lots of fresh garlic. Yes your breath may be pungent, but you’ll say it’s delicious and be able to ward off vampires. The trick to all good NYC pizza is garlic, under seasoned pizza is a true crime (looking at you San Francisco -_-). When I took cooking classes in NYC I was amazed how just adding more salt and pepper could drastically change a dish. Unless you have a health reason to have lower sodium intake, season your food generously, you’ll thank me later. 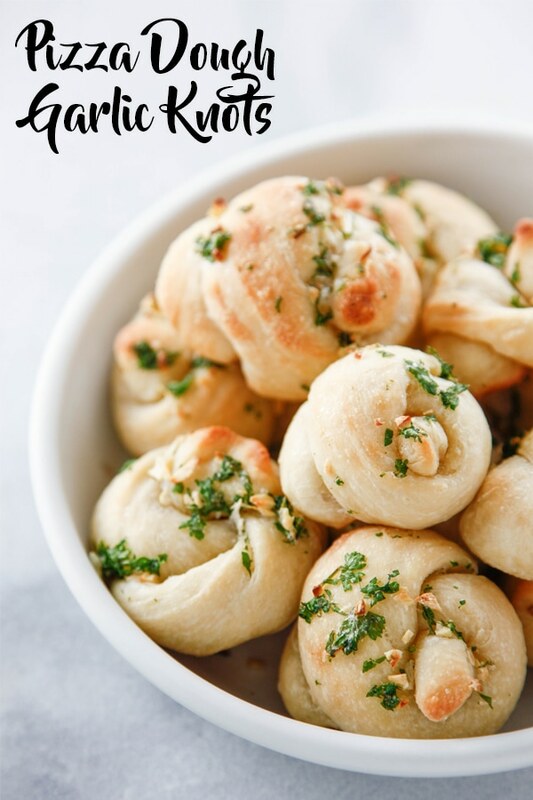 I love garlic knots because they are a an easy to make comfort food and favorite cousin to my first love, pizza. 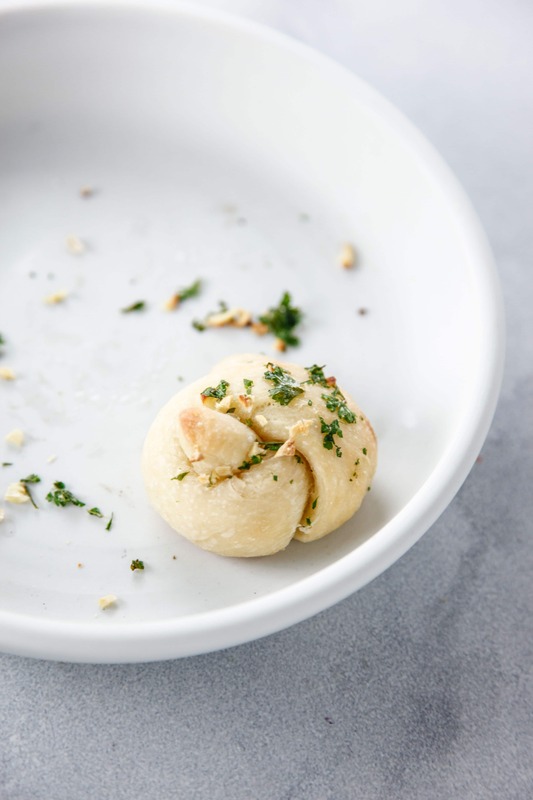 The world needs more garlic knots, so do your part and make more! 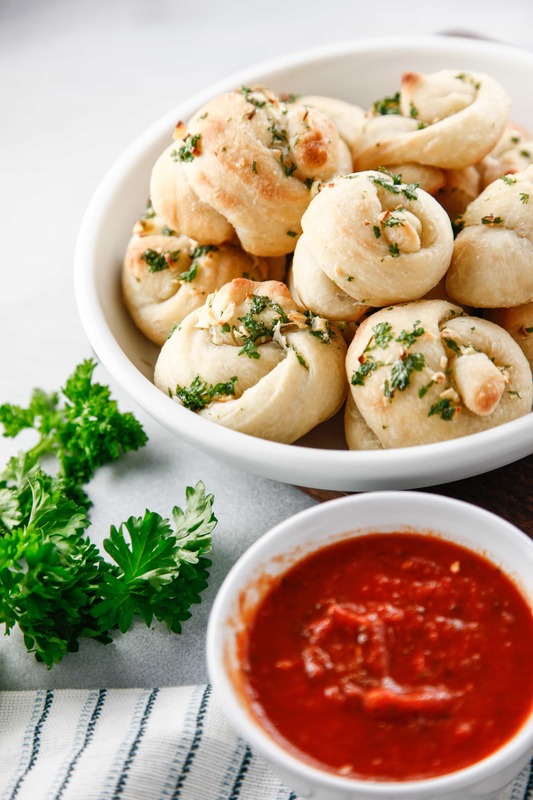 Get ready for game day, your next party, or just a delicious appetizer for yourself with these Pizza Dough Garlic Knots. Roll out pizza dough into a large square. Cut dough into 12 1-inch strips. Take strips and tie into a knot and place knots on a lined baking sheet. Combine butter, garlic powder, garlic and parsley. Brush onto dough until evenly covered. 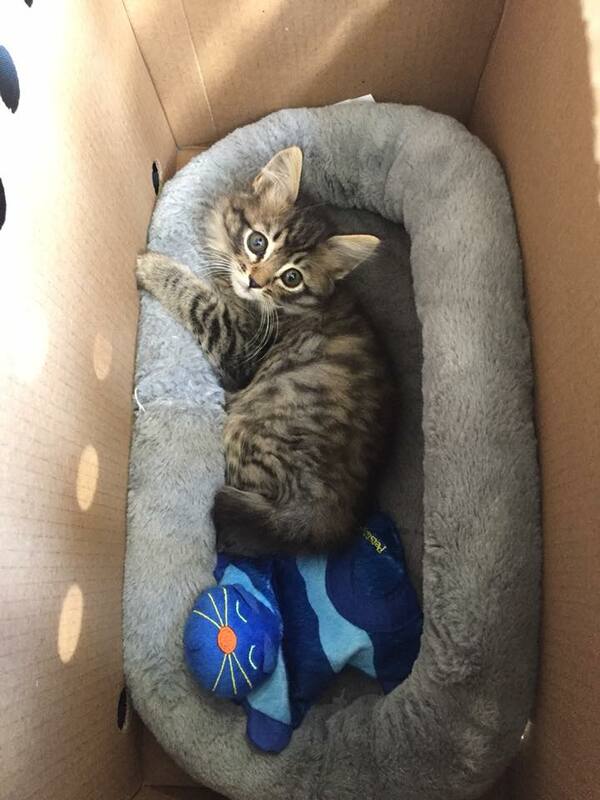 Bake for 12-15 minutes or until cooked through and golden on the bottom. Serve with marinara sauce and enjoy! 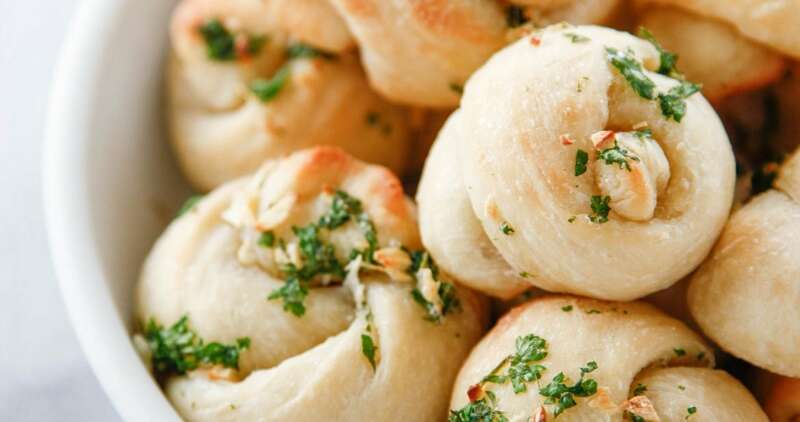 Garlic Knots are a guilty pleasure. They are so addictive and delicious. Thank you for a recipe. Love these as a side for spaghetti night! So good! 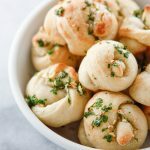 I love garlic knots! Looks so delicious and soft. Can’t wait to try this recipe! I could get through a whole basket of these. They are my ultimate comfort food.